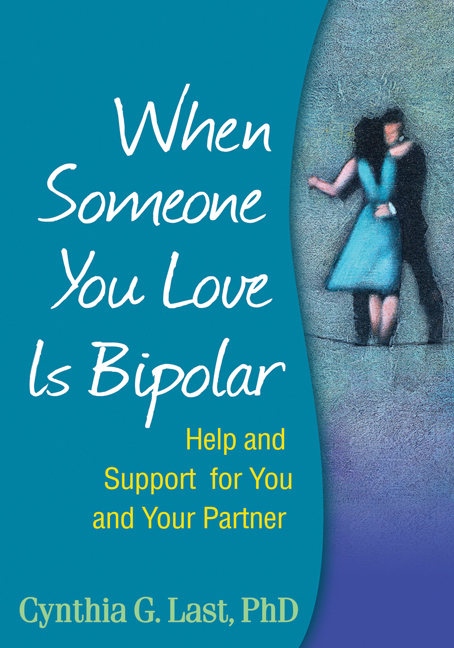 When bipolar disorder afflicts the person you love, you suffer too. How have other couples learned to manage the relationship strains caused by this illness? What can you do to provide your partner with truly helpful nurturance and support? No one cares more deeply about these questions than Dr. Cynthia Last, a highly regarded therapist/researcher who also has bipolar disorder. Sharing stories and solutions from her own experience and the couples she has treated, Dr. Last offers heartfelt, practical guidance for getting through the out-of-control highs and the devastating lows—together. Learn how you can help your spouse come to terms with a bipolar diagnosis, get the most out of treatment, and reduce or prevent future mood episodes, while also taking care of yourself.